An alpine styled hotel located in the center of Ruka ski resort, 25 km from downtown Kuusamo. A standard hotel with a central location right next to the ski slopes and restaurants at Ruka ski resort. Ideal for those who want to enjoy the winter activities, restaurants and nature in addition to driving. All rooms include a tv, internet connection and a minibar. The hotel also offers apartment styled rooms for 4-6 persons. All apartments are equipped with a kitchenette, microwave oven, sauna and some with a dishwasher and an oven. A high class boutique hotel located at the top of Ruka ski resort. High-end rooms and restaurant and a sauna area with an outdoor jacuzzi. The location guarantees a spectacular view. The hotel only offers double rooms and suites. Simply and unique location. All rooms are individually designed and the large windows offer a fantastic view. All rooms are equipped with an american styled bed, minibar, flat screen TV, and a large balcony. The ”Ahma Suite” includes a private bar and sauna, a home theater system and a bedroom with a scenic view. Ruka Peak is the perfect choice for those looking for luxurious accommodation, high class Scandinavian cuisine and spectacular views. 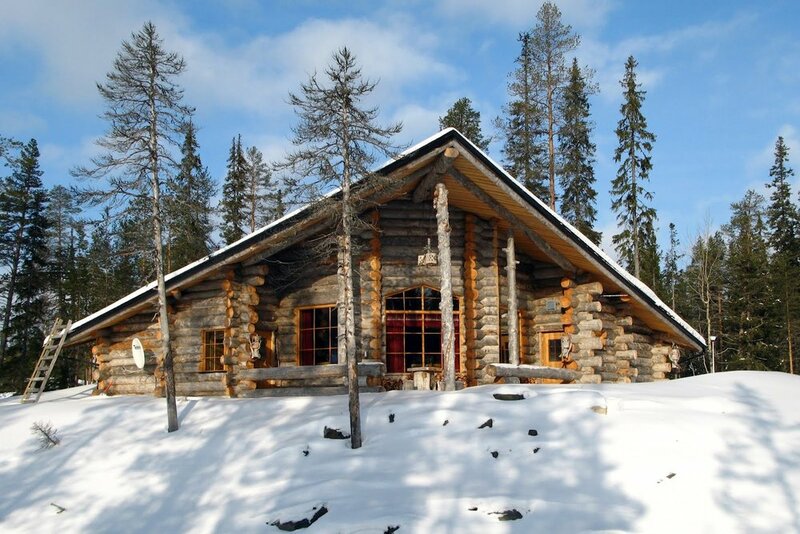 Luxurious cottages located 400 m above the sea level at the top of Ruka ski resort. Cottages range from 178m2 and 191m2 to 256m2 in size and are all fully equipped. The cottages are all modernly decorated with high-end materials. Kitchens include an electric stove, both a regular and a microwave oven, a fridge and a freezer and a coffee maker. The spacious living rooms include a flat screen TV’s and a fireplace. All cottages include a sauna. Big windows provide a breathtaking view. The cottages are located right next to the slopes, so you can enter the slopes right from your front door. All cottages are suitable for groups from 2 to 12 people. All the villas are close to each other – ask for a combination package. Various cottages located 2km from the center of Ruka ski resort. Rukan salonki offers cottages in three categories, basic, luxus and exclusive. Basic cottages are cosy 60m2 log cottages with fully equipped kitchens, a fireplace, tv and a sauna. Luxus cottages range from 120m2 to 150m2 and they all include a fully equipped kitchen, a sauna, a fireplace, several bathrooms and showers, a washing machine and a tv. Exclusive cottages range from 70m2 to 170m2 in size and are further equipped with internet connection and up to 6 showers and 8 bathrooms.